English speakers talk about leopards never changing their spots - Thais make the same kind of analogy except with tigers and their stripes. Rooster is very much a person who decided who they were years ago and apart from a few tweaks here and there I am still that leopard, that tiger...that person. This is especially true when it comes to one of my favorite subjects. Mrs Rooster refers to it as my meanness - I infinitely prefer the term frugality. Being the fifth of six children of parents who grew up during the privations of World War II and its aftermath, it is not surprising that I might have given some credence to looking after the pennies and letting the pounds look after themselves. After all when I grew up the pound was actually worth something. Pocket money was tight so I pretended to be 12 to get half fare on the buses until getting stubble put an end to that escapade. I kept my eyes on the ground at all times in case there were green and blue notes along with the discarded cigarette packets that I collected for a hobby. As a teenager I did gardening for 50p an hour, looked after the annoying children of rich people, painted and wall-papered their homes on the cheap and went everywhere on my trusty bicycle that had no gears. As a young adult when I got trapped in and bored with England, I went into frugality and mischief making overdrive. When the nice but inquisitive folks from the nearby unemployment office came in to celebrate a colleague's birthday at the bar where I worked at lunchtime, I had to feign a stomach ache and go home. But it mostly went smoothly as I lived with my sister and scrimped and saved every penny I could to escape back to Thailand where I saw the possibility of a future. I traveled on the cheapest most round-about airlines. Goodness knows what chances one took with Aeroflot in the 80s! A damn sight more than today's Boeing 737 Max 8's I shouldn't wonder. I lived on khao phat (without extra egg) and the treat of a baen of Maekhong with free ice - despite hating Thai whiskey with a passion. Being young one had to get drunk after all. Kloster and other beer was scandalously priced. Ladies who associated with me couldn't have liked me for my money. They invariably never saw it. It helped that I had "invested" my free time in learning Thai that perhaps made me reasonably interesting to talk to. I learned many ways to describe myself in the vernacular as a miserable skinflint, delivered with a twinkle in my eye. And I made the most of the "nanaseconds" - the time it takes for bar girls to lose interest when they realize they are not getting ladies' drinks. When I got work in Thailand I would save at least half my salary no matter what I earned. When the wives moaned about their allowances I would point sagely to the futures of the children and our own retirement. This was met with bemusement and resignation as Thais generally find it difficult to plan beyond the next meal. I have never expected anyone to help me and I don't give a monkey's bottom (dak-ling, darling) what anyone thinks of me. In fact I prefer to stick two fingers up to anyone who thinks I'm mean - yes, I put the FU into frugality. Years of well paid work - and avoiding that most horrible of English traditions "the round system in bars" - meant I was lucky to save a considerable sum that sits in banks for when my children need it! I certainly don't, at least not yet. With this background is it any wonder that I take the side of the increasingly prevalent "beg-packers" when it comes to the comment-fests on Thaivisa stories on Facebook. It's amusing that people think I am trolling - I'm just being honest. Leave the young people alone - who cares if they sell knick-knacks and postcards to fund their trips. Who cares that people resort to Go Fund Me rather than bother with insurance. It's the modern world. You won't find me contributing to them but by the same token I won't criticize those who benefit. So it was this week that I met - via the cyber ether that means "meet" these days - Kev-In-Thailand. 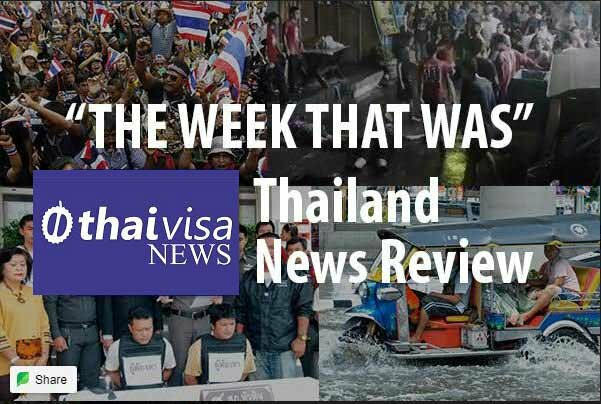 He featured in the most popular story on Thaivisa in the last seven days. Given my background it was hardly surprising that he inspired a grudging respect from Rooster. Kevin Burt was born in Hackney and consequently has an accent that only Londoners partly understand. He has obviously done alright for himself with a business and properties in Spain and runs a 30,000 subscriber YouTube channel - yes, "Kev in Thailand" - to make ends meet. Unfortunately Kev was diagnosed with esophageal cancer. He said on his channel that he was 59 and intended to get health insurance when he was sixty! He'd messed up his "maffs" a bit and come a right cropper, I don't mind tellin' ya! Worse still, a couple of people had started Go Fund Me accounts for our Cockney Sparrah in Chonburi (ok...Pattaya). Talk about lighting the blue touch paper on the red rag in the bull, if I may mix my metaphors. Every Thaivisa curmudgeon worth his or her salt came crawling out of the keyboard woodwork - mostly to hurl insults at our Kev. Parasite! Scrounger! Disgrace! Go back to where you came from! Those who supported him were drowned out in a chorus of Cockney condemnation. (This was in stark contrast to his YouTube presence, I might add. Mr Burt spends a considerable time each week filtering out any negative comments - those come from "c**ts" he told me on Messenger, using his delightful if limited phraseology). Worse followed next day after the Rooster interview was published in which Kev admitted to smoking on the hospital balcony and claimed - probably quite correctly - that his illness had nothing to do with his having 50 a day and more to do with not having his "5 a day". Few seemed to have read the part where he said he was paying for his own care out of his own pocket. Just saying "thank you" to those who started Go Fund Me was enough to hang, draw and quarter this Devil from the Docklands. Rooster offered to visit him in hospital when he came up to Bangkok later in the week (I could after all claim the petrol money back from my Thaivisa employers). He thanked me but declined - he admitted he'd had enough of Thaivisa for one week. Ha! There is a big difference in allowing only adulation on one's own channel and opening oneself up for dissection on a platform like Thaivisa. Anyway, on balance I like Kev and I wish him all the best in his health struggles. I'd be betraying my principles and especially my hatred for insurance if I stated otherwise. I've never bought any insurance unless I was legally obliged to. I consider it a bad bet and consequently have saved thousands. If I ever need medical care I have the premiums I never paid for 40 years in the bank gaining interest. Getting a much better press reaction this week was a Mr Stephen Trimble - an unlikely name for a strapping 25 year old American who came to a lady's rescue when thieves tried to steal her bag on a beach while she was out swimming. He was beaten up by three thugs as a result. Phi Phi Plod noticed that he was drunk so rather than restore Thailand's image immediately they asked him to come back in the morning. Mr Trimble posted his bloodied self on Instagram and wisely decided to continue enjoying his holiday rather than get detained by the constabulary's inevitable slowness next day. However, the Immigration cops on the mainland understand Instagram and instant image enhancement and that was enough for them to put a rocket (I expect from none other than chief Big Joke himself) under the Phi Phi cops' derrieres . Soon enough a man was "helping them with their enquiries" as we used to say in Croydon. By now Mr Trimble had been traced to Koh Pangan ready for the full moon party - once at that gathering I expect he will forget he is even in Thailand let alone that unpleasantness in Krabi. Posters praised him on Thaivisa for his "goodsamaritanship" (like Shakespeare Rooster enjoys coining new phrases once in a while) though the thread degenerated into a "which nationality is best" free-for-all. Fortunately I have always liked Americans and I even had to concede that their esteemed leader Big Toupee had a point this week when he criticized Mrs May for her approach to Brexit.....sterling didn't know whether it was coming or going in a tumultuous week for Whitehall that I am sure had many pensioners in Thailand checking the Forex markets with a mixture of gloom and expectation in equal measure. It was reportedly said by former British PM Harold Wilson that a week is a long time in politics and that is all we have left until the General Election in Thailand. Those that believe the election is precisely what it says on the tin - an election of a general - had better prepare not just for the next seven days but the aftermath. That is when things always get ugly in Thailand, when the people have spoken. In the last week we could all continue to laugh at and with the Thais over what they refer to as their democracy. Ten election rules were given to us by Sanook ranging from not boozing to not betting. Even polling of any kind in the lead up to the election was deemed a no-no. "Super Poll" just got in in time, however, with their vox pop on whether Uncle Too's (PM Prayut's) attempt to become a fashion icon had been a good idea. Three quarters of the Thai population - even many of his supporters - suggested he should stick to khaki underpants and boring suits rather than attempt to look like an Asian Justin Bieber on military strength steroids. Rooster has never voted anywhere and being only a resident has no right to do so in Thailand. This is just as well because I wouldn't have had a clue down the years where to put my "X". It's meddlesome enough having to deal with one's own "ex". Admittedly, I have a soft spot this year for Bhumjaithai as I am always proud to be Thai when it suits me. Also, their "weed for all" platform strikes a chord! Newin Chidchob - the so called "kingmaker" of Thai politics - has thrown his not inconsiderable political muscle behind the legalization lobby portraying his stance as a boon for the impoverished farmers of his Buriram power base. Though one had to have a quiet little snigger at his comment that he had no personal financial interest in the matter! Ultimately I am hoping that one day Mrs Rooster may be able to use her smallholding in Loei not for Sugar Cane but Mary Jane. Apropos residency and my love affair with money (or so people who say they know me like to believe) this week it was time to renew my decrepit "Police Book". It is a largely pleasurable event that takes place for 15 minutes every five years or so at my local station. It costs 800 baht, or I ought to say it should cost 800 baht. In March 2014 after conversing in Thai with complete ingratiating fluency about the officer's beloved Liverpool FC and their chances of winning the EPL, I had been handed the 800 baht bill. Stupidly, I paid with a 1,000 baht note and I waited a few minutes for the change. Then waited a few more. It was one of those occasions when one sensibly decides not to wear frugality on one's sleeve...besides I'd still be there if I'd waited any more! This time the previous guy had retired and I had a new officer. This time we conversed about my children in England and his relatives in Canada. This time he asked for 800 baht. This time I handed over the correct money. I was tempted to pay with a 1,000 baht note just to see what might happen five years down the line of Big Too's 20 year anti-corruption drive .....only tempted, you understand. Feeling buoyed by the extra 200 baht in my pocket I went to 7/11 to hand in several years of satangs I had saved and bagged. Without even counting the piles of coins the lady handed me another 200 baht in crisp notes. This was turning into a memorable day like when Basil Fawlty expressed himself finally ahead in life after a win on the gee-gees. Several stories this week reminded Rooster of other amusing events from my own past. One was a woman who went online to complain after finding a cockroach in her beer at Beer Fest in the new Terminal 21 in Pattaya. Many hilarious denials followed about whose cockroach it actually was! I recalled an occasion when I had found a roach in a pepper shaker in a sushi restaurant in Sydney. I put a napkin over the top lest the creature escape and only "noticed" its presence after gorging on an expensive dessert. It all ended up being free of course though the chef standing by the door sharpening his knife as we departed indicated that we might be better off never to return. In Pathum Thani a Thai guy did what Rooster has done on occasion and pinch the keys from the ignition of a drunk driver creating mayhem. The hapless and sozzled Somchai could do very little except wait for the sluggish sergeants to bang him up. A lorry once sideswiped my car and I felt the driver was going to flee the scene. To offset that possibility I pretended to go and take a leak behind his rig and found his keys still in the ignition! He was thus still there when the Bang Na constabulary and his insurance company finally arrived to rule in my favor. Thailand's hospital authorities also announced this week that foreigners reneging on their bills owed them 300 million baht. I was somewhat surprised it was so little then I remembered one of the few occasions I have been in hospital in the kingdom. My liver was about to rupture after I got an amoebic abscess following dysentery. Rather than wheel me to the ward after I went to St Louis Hospital at death's door, the nurse kindly wheeled me to the ATM instead. Grimmest story of the week had to be the murder by a Jordanian man of his own two year old son. This so called "father" tied his little boy to a pram and dumped him in the sea at the Bali Hai port in Pattaya. My editor had sent me the story to translate and as I got into my work I pleaded with a higher power that this was not what I expected, was it? It was. Readers of this column will know that I thoroughly deplore capital punishment and I find it very distasteful when posters talk about the retribution in prisons and what "they'd do if it was up to them". That said, one hopes that a dank cell with poor food and an adequate supply of cockroaches and lack of bed linen awaits this miscreant for the next thirty years or so. And so to lighter matters and this week's Rooster awards. "Best Photo" goes to the person who snapped a motorcycle entangled high up in power lines in Surin after an accident. How it got up there - and the fate of the rider - is anybody's guess. The story led to my "Best Post of the Week" that goes to 'Damrongsak' for: "I didn't know Thailand had charging stations for bikes". Next, it's tremendous news for those who say that I never mention Chiang Mai enough in The Week That Was. I am glad to rectify this with the "Cough Splutter Hack And Wheeze" award after the northern city was named as the most polluted place on earth for several days running. Several posters came out with the mother of all cliches suggesting that this was a "nail in the coffin for Chinese tourism" in Chiang Mai. On the contrary, I would have thought pollution would have made them feel more at home. Last prize is the "Rooster Total Bloody Envy Award" that goes to Nutcharut Wongharuthai or Mink who reportedly became the first woman in the world to get a 147 maximum break in snooker. My hat flies off to Mink, aged just 19, who achieved something that Rooster could only dream about. My top break is 50 and probably always will be! Mink is a charming young lady I had the pleasure of meeting with my daughter last year. She will be hoping to take her achievement from the practice table to tournaments especially at the Women's World Championships that will be held at her home base - the Hi-End Snooker Club in Lat Prao - in June. Finally as so many expats are apparently thinking about leaving Thailand due to the onerous visa and financial regulations I must report a conversation with an old friend and Thailand veteran who decided to go back to the UK a few years ago to work and get his Thai/Brit children educated in England. We were shooting the breeze online about the amazing changes regarding the attitude towards marijuana in the kingdom when he said out of the blue that now the kids were safely at uni he had decided to come back to Thailand for good. Verbiage at it's finest. You have excelled yourself Rooster. You should make a podcast. I was just thinking.............'what a lot of old twaddle'. Wonderful writing, excellently humourous observations, refreshing post. Thanks - we needed that! As I sit here in Oz waiting for my knees to heal I'm impressed by Roosters patience with the swarks of the key punches in Thailand. They're either moaning or groaning! Hang in there sir! As always light on news, but this week particularly high on entertainment. My must read of the week and good to see my home changwat Loei get yet another mention. Talking about financials and visas, I assume followers of Thai Visa are aware that should they marry their tilatch that the monthly income requirement for a retirement visa reduces from 65,000฿ to 40,000฿. My Oi and tied the knot 2 weeks ago after 4 years together for precisely that reason. Cheers. It's encouraging to get positive comments - unlike Kev-In-Thailand we don't remove the negative posts here! Rooster please, please, please begin a weekly podcast. I am sitting here in the dismal surroundings of the UK awaiting my return to Thailand and you have made my past week almost tolerable. You have insight coupled with honesty and humour. Thank you for your column on behalf of all readers. Loei is Mrs Rooster's home province so it will often get a mention. I had an inkling she was the right one for me when we climbed up to the top of Phu Kradung 19 years ago and she didn't complain once! I used to record the column for Thaivisa Radio 2 until it shut down. I shall consider your request. I am glad that you enjoy the column. For me keeping a sense of humor is vitally important no matter where one lives but especially if one is a foreigner living in a place like Thailand. Someone a few weeks ago accused me of dishonesty in a story about going to Brazil. I thought about replying - even dug out an ancient passport with the Rio stamps in it - then thought...why bother. Mostly in my life I have just ignored anyone who is negative or who thinks I am being economical with the khwaam jing. Remember to look out for "Roosterisms" in the translating of the news on a daily basis. I do about ten a day and many contain a worthwhile snippet designed to add some honest flavor, comment and perhaps amusement. Goodness knows with some of the grim subject matter we need a good laugh! Regards and keep reading and enjoying Thaivisa. Many years ago we had an heir to the Cadbury empire come to Harrow in Bangkok as a gap student. He talked a good game but lasted less time than it takes me to polish off a Creme Egg. I did that almost 2 years ago after being together for nine - does that mean that I will get special dispensations from Immigration for my next visa extension application - like not having to provide a Google map of our abode - and a hand drawn map of the same?